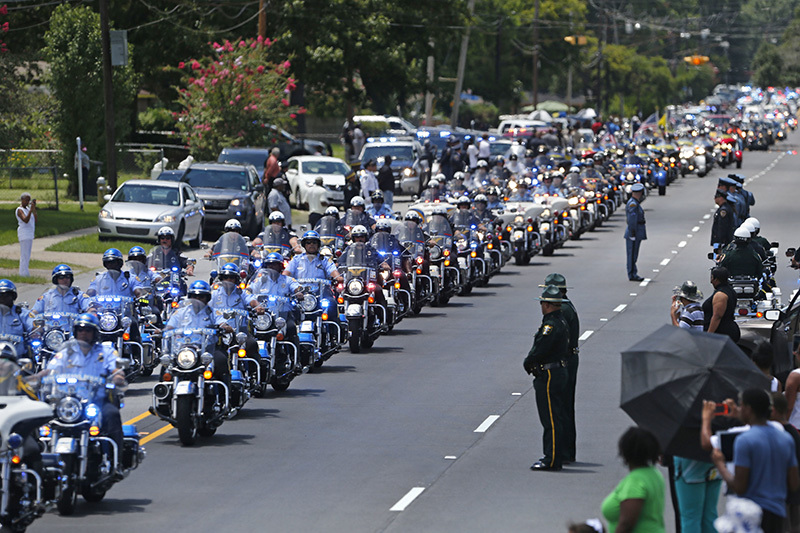 The funeral procession for slain Baton Rouge police Corporal Montrell Jackson leaves in Baton Rouge, La. in July. 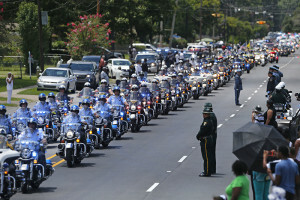 Jackson was slain by a gunman who authorities said targeted law enforcement.